Summer faded quickly for Jada and Jinny. After they failed to defeat the evil Beinagrind, all the elves and fairies disappeared. But Jinny discovers that their magical friends had not left — they simply had been hiding to make plans for war. Now Jada, Jinny and their friend Sam must go on a quest to find the missing Minacrist and prevent a destructive battle from taking place in New York City on Halloween Night! Jinny tried to remember what summer had been like. As she rolled home from school on her skateboard, winding her way around puddles, Jinny passed a group of kids from school — all skaters like her. “Hey Jinny,” called one of them. “Later,” she said, holding her head high with more attitude than she deserved. Jinny smirked. She knew she was an Unusual Girl. Not because she had a new board as bright red as a stop sign. Not because she cut her own hair or wore beanies to keep it from sticking out in all directions. Not because she fixed her own glasses with blue duct tape (“They’re not broken,” her sister would say. “Reinforcement,” Jinny would say). It was because she and her sister, Jada, were honorary members of the fairy kingdom. So Jinny didn’t have time to hang out with skater kids — not right now, not since this long string of cloudy nights and dismal days. She was bent on finding out why the fairies and elves had stopped appearing to her months ago. She was bent on defeating the Black Power and the creature that brought It into the world, the Beinagrind. She was bent on finding Minacrist. Jinny ran up to her sister’s ear. Jada swatted at Jinny in her sleep, nearly knocking her over. Jinny tried again. “Jada!” she said, yanking on Jada’s hair. “Aagh!” said Jada, backing away, looking at her tiny sister, tiny Sam, two elves and two cats on her bed. “It’s not a dream,” said Jinny. Minacrist paused at the side of the road and leaned against one of the scraggly, pale trees. In the distance she saw the shining castle tower that she had been running towards for weeks (months? — time seemed to have no meaning here). But she could also see in the distance a thick growth of rose bushes, protecting but also shielding the castle from view. All you have to do is reach the castle, she kept telling herself. Conquer one impossible goal before figuring out the next. Oh, and stay ahead of the Beinagrind. Minacrist sighed as she stood up to keep going down the road. Nothing was ever easy. 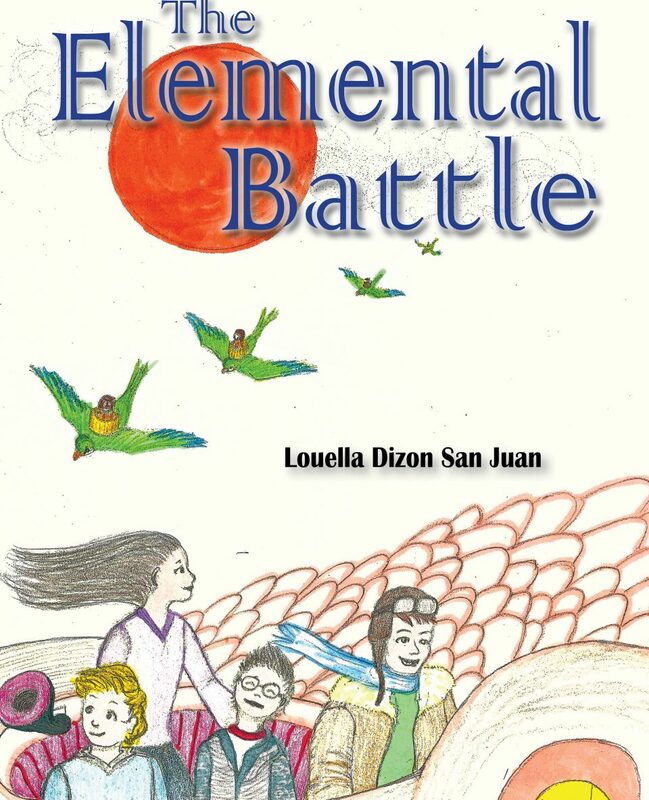 “The Elemental Battle” premiers at The Brooklyn Museum Children’s Book Fair on Saturday, November 17, 2018, 11:30 AM – 4:00 PM. Come get your signed copy at the Fair! Let me order my copy!